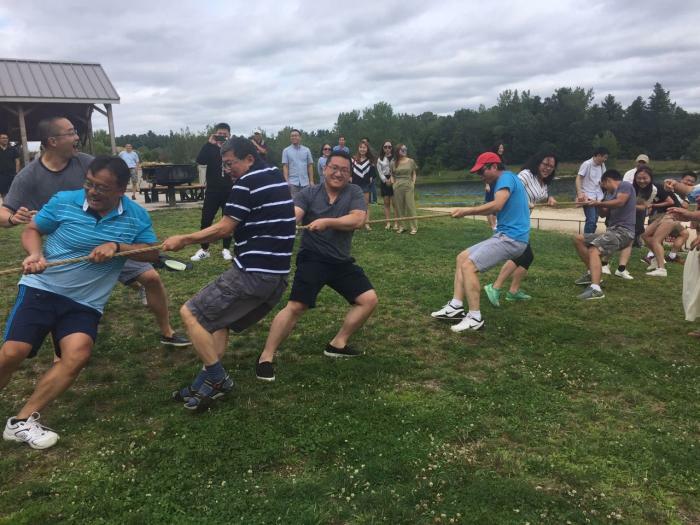 On Saturday, August 12, NECINA along with several Chinese organizations, including CABA, CAS, OCEAN, and Zhejiang University held a joint summer outing in Nara Park in Acton. Over 150 people from all the different organizations participated in the event filled with food, festivities, and merriment. Similar to last year, it rained in the early morning, but we were fortunate enough to be welcomed with sunshine and great weather during the outing. The Presidents from the various organizations welcomed the crowd before we found our way on the field for a wonderful group picture.Participants were later treated to catered Chinese food and watermelon. With everyone's stomachs filled, the time was appropriate to engage in the main activity: tug-of-war; which challenged the organizations against each other in a friendly and competitive manner. The day concluded in the early afternoon - as a day filled with fun times, great memories, and meeting new people.